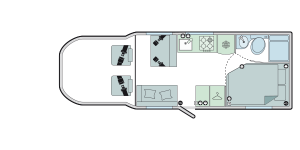 A very nice example of this Autocruise Select 144, in white. 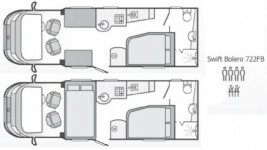 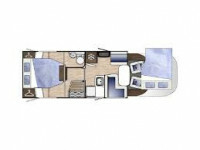 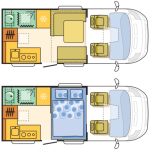 Features a rear lounge area which converts to a double bed, and a front lounge which has a single bed. 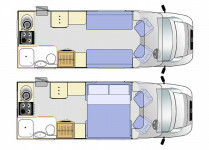 Swift Command, Truma water and Blown air heating, LED lights and a 2.3Ltr 130BHP engine. 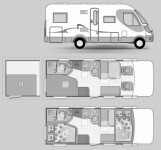 Autograph 79-4 has media 2 set up, alloy wheels and an alarm & bike rack features rear island bed, 4 belted seats, reversing camera, 100w solar panel, Euro 6 2 litre 160bhp 6 speed engine and Alde heating.